Capcom has (finally) announced what the ESRB accidentally revealed. 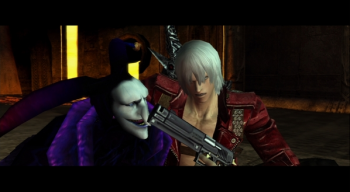 Fans of the original Dante, rejoice: Devil May Cry, Devil May Cry 2, and Devil May Cry 3 are getting the HD treatment, and they're coming to a console near you! Of course, we've all known this was coming for a while, thanks to the ESRB listing the games on its official website before Capcom had revealed anything. Now, Capcom has officially announced the Devil May Cry HD Collection and it's revealed exactly what's in store for fans and newcomers to the series alike. Of course, Capcom is being a little coy when it comes to specific details, like a release date. So far, the publisher's revealed that that the game will arrive sometime in 2012, but won't give out anything more definite.